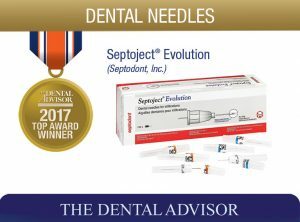 Septoject Evolution dental needles feature a scalpel-designed bevel for greater control and reduced discomfort and have a polished and siliconized canula. These single-use, sterile needles are made of high-grade surgical stainless steel tubing. Septoject Evolution needles are pre-threaded and have both a bevel mark to indicate bevel location and an orientation mark on the opposite side of the bevel for a reference point during insertion. Septoject Evolution dental needles are available in Intraligamentary (30G x-short, 9 mm) and Infiltration (27G and 30G in 25 mm) versions. The lot number and expiration date are imprinted on each needle and they are color-coded: Infiltration – orange for 27G and blue for 30G; Intraligamentary – purple for 30G. They will fit any standard dental syringe. They are packaged in a 100-count box. Septoject Evolution was evaluated by 30 consultants in 1173 uses. 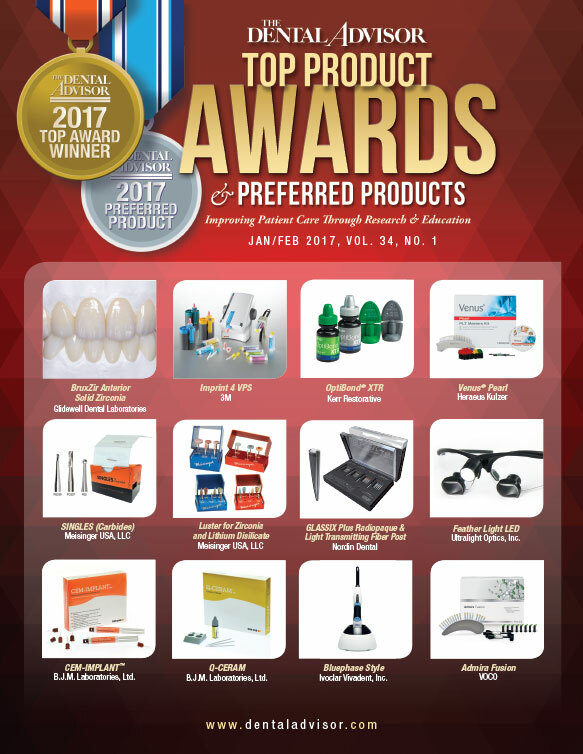 This product received a 91% clinical rating. Septoject Evolution needles have a scalpel-like bevel that provides smooth tissue penetration, insertion and injection. This results in more comfortable injections for the patients. Consultants found the markings on the hub were useful for orientation of the bevel. Color coding of the needle appears on the paper seal around the cap, which is removed when the needle is loaded onto a syringe. So once installed, there is no indication of the gauge. Fifty-seven percent of consultants reported that Septoject Evolution needles were better than their current dental needles and 40% reported that they were equivalent. Sixty percent would switch to Septoject Evolution and 93% would recommend it. Make sure that tissue is tight before injecting. Use with a light touch to prevent rapid delivery.